Lake Tawakoni was a little muddy and the water was a little high which made the fishing tuff. We started out on Crappy then Bass fished. We had some good laughs and it was a good trip. That's why they call it fishing and not catching. The clips above is a 640 wide by 480 height 4:3 letter box resolution aspect ratio. They are Windows Media Video files. These are large files and you may need to update your Windows Media Player to Version 10. The large intro file is a flash video file. This project was published to a web page, written to a DVD, and compressed for phone video, plus full screen web clips. It took about 20 hours to complete this work. The videos to the right were done with a Sony and the Canon Z60 hand held cameras.The images to the right were shot with a Canon Rebel EOS Digital with a zoom lens. You need a high speed connection for this site. To the right here you have a video Widget. Is is one of the awesome features on the Online AAmultimediasite Outdoors Site. It is free and it is like photobucket on steroids. Use the site as a resource to your web pages. You can load video and have a video widget. You can do the same thing with audio and photo widgets too. Hit the menu button at the bottom of the video widget or just click the the arrow and watch the video. At the end of the video the other videos will appear. You can hit the steal this button and copy it to your clipboard. Then you can paste the code to your web pages. You paste it to your code view in your publishing software. To the right Craig Allen McWhorter came down from New York City to be recorded Live on video. He recorded on video 9 songs one cover song and 8 originals he wrote and composed. He played guitar and sang in an unplugged session. Craig is originally from Dallas. He grew up here and I met him teaching him karate as a kid. Below hit the links to here the songs. All 9 songs copyrighted. It Ain' t Cool Your In My Way I Remember That One(Drink Myself Sober) Close To You Have Another Far From The Truth Picking Up The Pieces Only Way To Go Wish I Would Have Wrote Song Check these full screen videos. They download fast and the sound is awesome. Cell phone videos 1 2 3 4 5 6 7 8 These are 320 x 240 wmv format. This image to the left is a sample of a boring clip mixed with music. It can become an Ad for your Show, Web Page, or DVD. Click the image it is a link. There are two versions, one is the Flash .FLV file. The other is a .WMV windows media video file that is 5 minutes long. Both files are about 43 megs big however, they download fast and play provided you have high speed internet connection. All of us involved are just a bunch of creative dudes living the dream. There is always more clips coming. Enjoy! 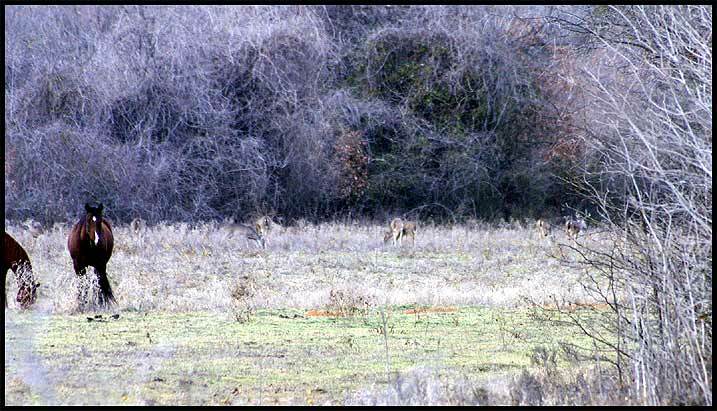 The image to the right is image link to the Llano Deer Hunt with Alan Moore and Steve Thornell with the Texas Hunting News. There are several video clips to choose from. They are a Flash clip and a the rest are .WMV Windows Media Player clips. The clips are all full screen Hi-Res Videos. They are fast downloading if you have a high speed internet hook up.All of this is non-scripted on the fly footage. Note the Hi-Def Quality of the full screen video. Click the image to the right to go the the page. I am a good multimedia guy he is a good musician. Individually we are good at we do however together we are great.My goal is to find more of you that are like the two of us. Putting two passions together to make some really good stuff. Click the links below to go see full size video of this collaboration. This project is one hour of video taping with 16 hours editing and publishing. I made a DVD of all this, a .WMV video clips and,.WMA audio clips. Hi, fellow outdoors enthusiast welcome to my site. I created this site to provide for this unique time in history a venue for the love of outdoors in video and photography. This domain will be dedicated to the representation of your work in multimedia of the great outdoors. Please be patient while we program the site. We will have a drawing for a complete photo and video documentation of your hunt. (details) There will be ad sponsorship included with different types of donations.This opportunity of enjoying the video and photos of good works will be provided by two separate type of memberships for this domain. There will be a standard and a contributors type memberships available. There will be video upload and photo upload pages and of course a home page for your work.You will have the opportunity to post bulletins ads and messages to any or all of those that you choose. There will be classified section and a forum for an awesome community multimedia / outdoors users in hunting and fishing. 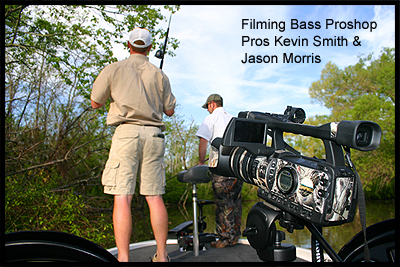 This site will be resource for the entertainment community of the great outdoors. There will also be articles explaining general information of how to take good photos and tips for videographers.Instructions on how to download video and edit on your home computer. What video software to buy and links to various resources manufactures and developers.Reviews on different types of equipment and for what usage you are seeking on different budgets.There will also be outfitters and landowners to advertising for good lease and hunting opportunities. Recording artist will also have the possibility to display their music to the outdoors industry for DVD, TV,and web base video entertainment. My Hunting Buddy Billy Kidd Rest in Peace 1927-2008. Llano Hunt With Steve Thornell and Alan Moore 17 Full Wide Screen DVD Clips. "Where are the Dove? "Doving Hunting Texas 2007 Getting Ready For Bow Season"